Special Christmas Talks on "The Horizon of the IPO Market in Hong Kong and China"
Bertram joined CIMB in 2004 and was head of research for Hong Kong during 2009-12. He currently covers the Greater China Telecoms sector and has previously written HK/China strategy as well as small caps, industrials, technology and banks. Prior to joining CIMB, he worked with Lehman Brothers Hong Kong and spent eight years as a consultant with Accenture in Australia. Bertram has an MBA from INSEAD and a BEc from the University of Sydney. James Ford (a partner in OMM’s private equity team) will share his insight and practical experience of the impact so far for Asian managers. The latest on how FATCA has impacted the asset management industry, and what fund managers are prioritizing. Information on how peers are weighing the sponsored funds option. Progress on intergovernmental agreements (IGA) between the Cayman Islands, Luxembourg, Hong Kong, China, etc. Renew your membership now and get one *FREE PASS! The evolution of private markets in China: what next? Performance of Asia private equity funds to date: Good enough? Exits and liquidity, the perennial challenge in Asia? Private equity in China: what happens when the IPO window is closed? How do pan-regional funds compete with each other and with country specific funds? South Korea goes from strength to strength: How sustainable? Indian private markets at a crossroads: Whither reforms and the Rupee? "An overview of the industry as seen from Europe"
This unique deal-sourcing and matchmaking session is jointly organised by HKVCA and the HKTDC. During the three-hour event, one-on-one meetings are arranged between sources of funds and sources of deals. Deal Flow enables participants to meet with potential business partners from around the world and based on their shared areas of interest. Over the years, around 1,700 meetings have been arranged for more than 500 companies involving investment project owners, private equity firms, investors, high net-worth individuals and senior professionals from intermediaries and professional services providers. On the back of the trend of mainland outbound investment, the AFF Deal Flow will feature dedicated matching meetings between mainland investors seeking investment opportunities abroad and overseas project owners looking for Chinese investments. Following the success of the series in Washington, London and Mumbai, the EMPEA Fundraising Masterclass is travelling to Hong Kong and partnering with the HKVCA to arm local fund managers with proven fundraising tools and global best practices. This in-depth workshop is designed for managers with funds in the market, first-time fund managers, and new hires to hear directly from leading LPs and industry insiders on actionable fundraising advice and common pitfalls. The real world perspectives and candid, closed-door discussions leave attendees better equipped to tackle potential fundraising roadblocks and realize targeted fund closes. The EMPEA Fundraising Masterclass in Hong Kong is held in conjunction with the Asia Financial Forum and HKVCA's Asia Private Equity Forum 2014. More information coming soon! Thanks also to the Education Committee, especially John Levack and Bonnie Lo to organize such intuitive initiatives with the HKU MBA programme. The Hong Kong Private Equity and Venture Capital Association (HKVCA) welcomes the Financial Services Development Council’s (FSDC) paper setting out proposed changes to Hong Kong’s tax law to include private equity in the benefits already extended to offshore mutual and hedge funds. The detailed proposal will, if implemented, allow private equity investors to benefit from tax neutrality for offshore funds investing in offshore private companies where the fund is managed from Hong Kong. Ms Au King-Chi, JP, Permanent Secretary for Financial Services and the Treasury (Financial Services), delivered a special address to delegates participating in the Global Venture Capital Congress in Hong Kong. After providing a brief overview of the territory’s asset management industry in general, Ms Au then focused on the venture capital and private equity industry and the various government policies and initiatives dealing with open-ended investment companies, platforms for Islamic finance, trust law reform and profit tax exemptions from. The first chairman message from Conrad Tsang is now available online. Be part of our first annual HKVCA Membership Drive and win a complimentary ticket to this year’s Gala Dinner when you sign up just one new member. • The membership award will be backdated to the period 1 January 2012 –31 December 2013. 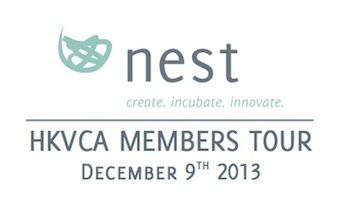 • HKVCA members who nominate a qualified prospective new member will be awarded 1 (one) membership drive point. 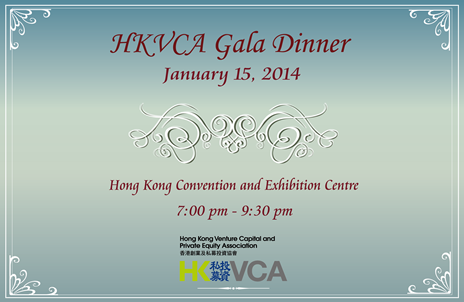 • Each membership drive point will be rewarded with a complimentary pass to attend the HKVCA Annual Gala Dinner. To remove from mailing list, please unsubscribe. © 2019 HKVCA. All Rights Reserved.